The Federal Election Commission (FEC) is investigating Democratic Congresswoman Maxine Waters for allegedly misusing campaign funds to pay her daughter Karen Waters roughly $750,000 over the last 14 years. In July, the National Legal and Policy Center filed a complaint against Congresswoman Waters with the FEC, accusing her of violating campaign finance laws, as well as Democratic State Central Committee woman and Sen. Kamala Harris. The center is also filing a second complaint. According to Tom Anderson, the director of the group’s government integrity project, the center is requesting a full audit of the Citizens for Waters campaign to uncover how campaign funds were used. According to the complaint, the California Democratic Party paid $35,000 to the Waters campaign in 2016 in order to endorse Sen. Kamala Harris through a mailer, which is a violation of FEC policy. A third party is legally prohibited from funding such a mailer without being reimbursed. Another report shows that Harris’s campaign also paid $30,000 to the Waters campaign in 2016 for the same purpose. 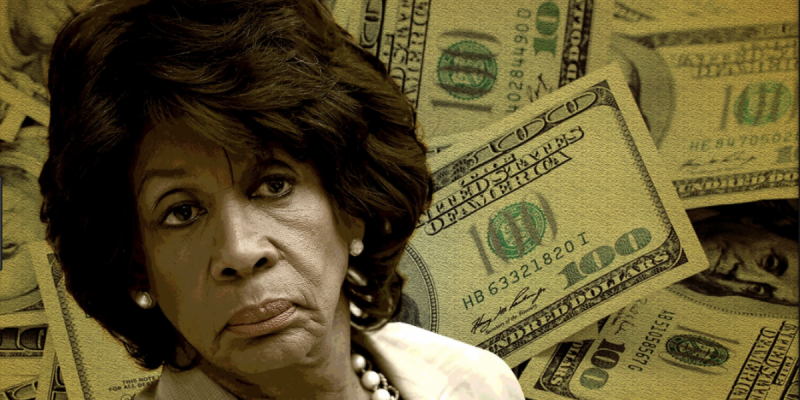 Waters has been described by many in California as a “Democrat mob boss” for milking millions through allegedly illegal practices while her constituents remain impoverished, Big League Politics reports. Neither Congresswoman Waters herself nor her daughter replied to requests for comment from Big League Politics who first reported on the story.